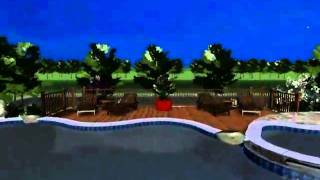 We can create stunning 3D movie presentations to show you a virtual walk-through tour of your property using our design. 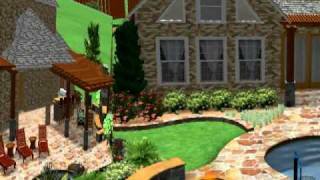 A 3D presentation will help you understand your new landscape design better and will make your vision more realistic. The movie will be available on a DVD which you can play on your computer or television set. We can also include a night-time view of your property in this virtual tour that will show you how landscape lighting can provide beauty at night and give you additional security at the same time.